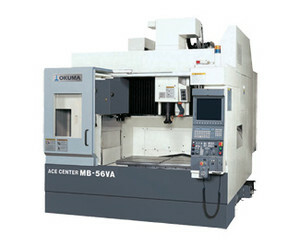 Precision Hard & CNC Milling Service Provider -C&H Machine, Inc.
C&H Machine is a world class provider of precision CNC milling and hard milling services, with a wide variety of state-of-the-art equipment and processes at our disposal. Our knowledgeable staff brings a superior level of consistency to every project, delivering top quality precision CNC milling. Our superior hard milling services are utilized by a number of industries, from medical and semiconductor, to aerospace and more. We are leading providers of a number of other specialized precision CNC milling services. Our 3D milling, 4th axis milling, and high speed milling processes are second to none. 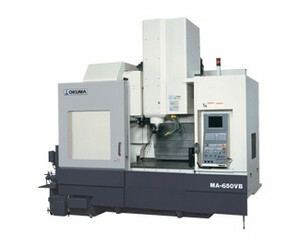 C&H Machine’s specialty equipment and experienced staff allow us to offer exceptional quality in our finished products. Through continuous process improvement, we are committed to making our precision CNC milling services even better and more efficient. C&H Machine utilizes hard milling machines that provide substantial travel capacity for precision CNC milling of large plate sizes, up to 61” x 145”. Our facility includes multiple 3-axis precision CNC milling machines, two 40,000+ RPM high speed hard milling machines, and two extremely efficient and accurate horizontal mills. C&H Machine’s precision CNC milling equipment is programmed with Mastercam and SURFCAM software for outstanding accuracy and repeatability. We operate multiple 4-axis CNC hard milling machines for fast, efficient fabrication for even the most complex components. Our facility can handle precision CNC milling of parts for prototyping and R&D or for full production runs. Our large number of precision CNC milling machines lets us complete even the biggest projects with quick turnaround times. We use quick change tooling systems whenever possible in our precision CNC milling processes, to maintain consistent performance and repeatability. This system is especially useful for low quantity runs, as it ensures quick and efficient production. C&H Machine provides hard milling services for materials rated above 60 Rockwell. C&H Machine has 50-taper CNC mills that deliver 800 foot-pounds of torque for heavy duty materials like titanium, invar, and inconel. Our 40,000 RPM Mikron high speed hard milling equipment also features an 8-pallet workflow system, for fast, efficient, nearly non-stop operation. C&H Machine is one of few facilities to offer hard milling services, due to the process’ highly specialized nature. Contact C&H Machine today to learn more about our precision CNC milling services.